Anthea brings with her 17 years of teaching and coordination of both undergraduate and postgraduate courses. During her transition to tertiary education Anthea was also Clinical Nurse Specialist, Clinical Educator in Critical Care and Neurosurgical Intensive Care at a tertiary teaching hospital, and a Nurse Educator for a metropolitan Area Health Professional Development Department. Anthea achieved a Masters Degree in Nursing with a major in Adult Education strongly supporting her skills in teaching in the face to face and e-learning education environments. 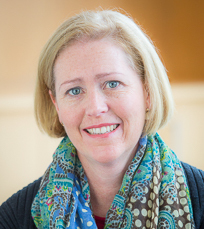 She has a passion for interprofessional and experiential learning and has extended her skills into Clinical Simulation where she has had Advanced Instructor training through the Centre for Medical Simulation, Boston. Anthea is undertaking her PhD focusing on student experiences of speaking up for patient safety in the clinical setting. MN (Education); Grad Dip Neuroscience Nursing; BN, RN, PhD Candidate.